GrandMA Studios, the studio that brought you Reflections of Life: Equilibrium, is back with another gorgeous fantasy adventure in the Fantastic Worlds. The fate of the worlds is uncertain now that a mysterious evil being and his monsters and spies are bent on destruction. With the help of your trusty owl companion, not to mention the powers of a magical amulet, it's up to you to discover the truth. Do you have what it takes to stop the villain before it's too late? 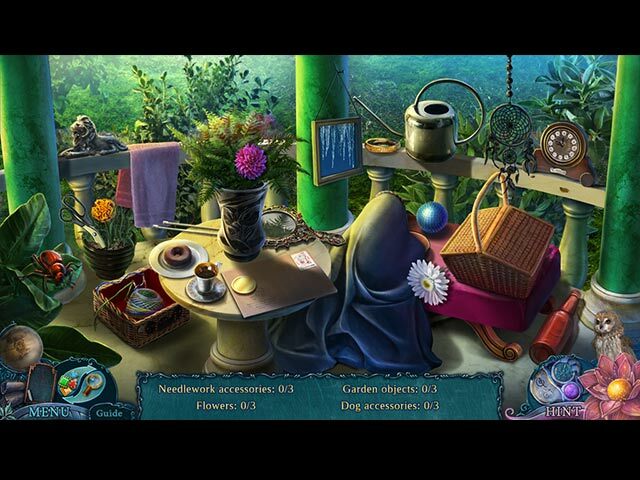 Find out as you uncover a traitorous scheme, solving loads of silhouette, interactive, riddle, and other hidden-object scenes and special pop-up book-style mini-games. 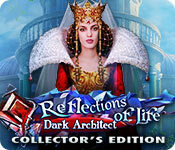 Reflections of Life: Dark Architect Collector's Edition is rated 4.3 out of 5 by 48. Rated 5 out of 5 by MsReddFox from Another to add to my collection! I really enjoyed this game. The art work is awesome and so is the animation. I loved looking for 'the observers'--ittle eye creatures-- and there's almost always two to a scene. There's also a menu on the left center of the screen to click that lets you know how many are left to find. The game has already been explained by other comments, so I won't go into all that. And of course since it's a CE there's a bonus game, wallpaper, etc. Suffice it to say, that I will no doubt play this one again sometime. I had been getting tired of HO's but this one brought me back to them again. It's a very good game. Enjoy! Rated 5 out of 5 by patricia356 from Great Game! I almost did not purchase this game. It seemed the typical save the new queen type thing. Boy was I surprised! This game has very high quality graphics and the sound is appropriate if sometimes a little repetitive, but then we can always turn the sound down. At this point I think I am about 1/2 way through and thoroughly enjoying it. Puzzles and HOGS are varied and interesting. A couple I had trouble figuring out how to start and once I had to use the guide but for the most part it is soluble without too much effort. Some games just take a certain amount of time because one must move various elements back and forth on the board. Love the puzzles/hogs that resemble the popup gift cards and can morph by hitting an arrow. I don't remember anything quite like it. If you have also overlooked this game please try it. You won't be disappointed. Rated 5 out of 5 by krystal59 from Wow these devs have it down this is the third? I think in this series and it's just as good as the two before. First and foremost.. it's a decent length, something we haven't seen lately. It had entertaining collectibles.. little eyes that became what they represented.. one fire, one ice and one earth as well as some surprise boxed presents that were a challenge to find. Your owl helped you get to high places, you had an amulet that you could use to heal/repair broken things and every so often you would receive what they called a lens, a circular piece that you needed to fit into the scene. There were also multi page pop up books with little puzzles that told the story along the way. Nothing was so repetitive that it became tiresome. You just had a little of this and a little of that all the way through the game. There were achievements to achieve as well. Now add to all this gorgeous graphics, good voice overs and a huge assortment of both mini games and HO scenes and you have a winning combo. Yes there were worlds to save and rituals to stop..but what can you do? these seem to be the standard storylines in every single game. But not to worry.. with everything this game has to offer you'll hardly even notice that. I really enjoyed this one. Hope you do too. 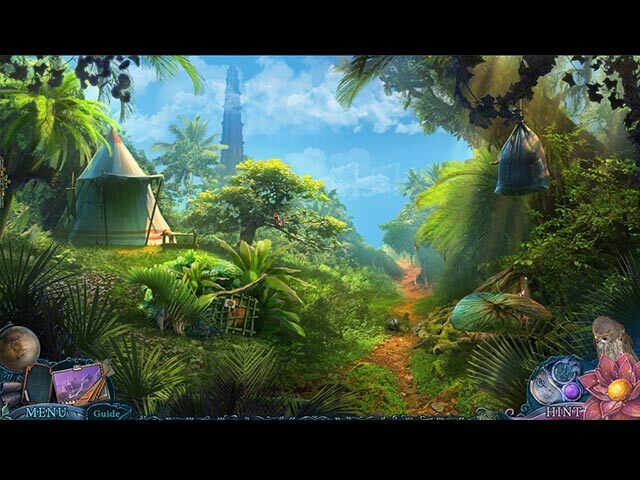 Rated 5 out of 5 by Linda_2002 from Fantasy game Hi all. I love this game, the colors, the graphics are very well done and that is most important, and it has details which is one of the main things I look for. Rated 5 out of 5 by linzi1nz1 from Love Love LOVE this game. I am only an hour into this game and I love it more than any of the last 10 or so I have bought. I am over the dark moody graphics and scenery I have been getting and these ones are really stunning. Even the Queen character is beautifully drawn. Puzzles are a particular reason I wanted to comment because they are SO innovative and different from many other games. I am delighted to still have some hours yet to play and will be very sad when I finish, and scrabbling through your files for another like it. THANK you. Rated 5 out of 5 by Campinrat from Really good game I also was surprised this game was so well done. 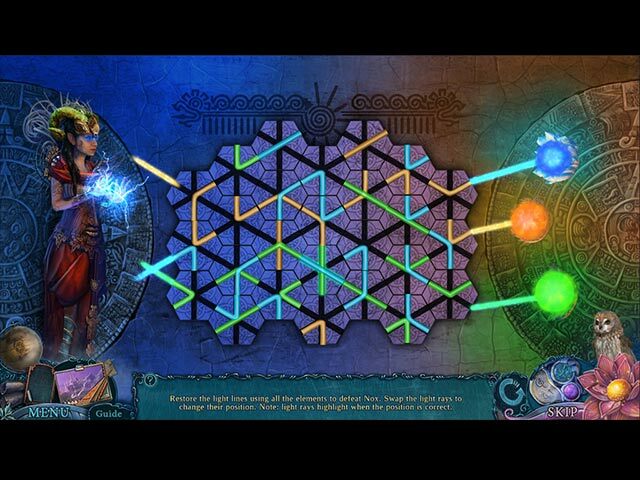 Easy to follow, puzzle levels were fairly easy, but some just challenging enough to keep me going. Easy to follow and just a great snow day game. Well worth the Collector's Edition price. Loved finding the "observers," that was better for me than a morphing object...although I do love the morph's, I never find them all on the first try. Rated 5 out of 5 by Italia47 from Resplendent! A well-crafted game that is so pleasing to the eye, you won't want it to end! Folks, I'm halfway into the main game of this CE version, and I had to stop to encourage you to try it out, or better yet, buy it. Esthetically you can't find a more beautiful game. GrandMa Studios, you did a magnificent job! Stunning artwork, sound quality is fantastic, music is grand. Love this game. It's about one of the best games I've ever encountered. It's a pleasure to play a fantasy game for a change, what with other genres consisting of demons, goblins, lost souls, ghosts, rituals, witches, and dreary scenes. This game is so refreshing that I am going to enjoy every moment while I can. I don't want it to end! The artwork alone, what with its vibrant, cool, crisp colors especially the blues, and teal greens, and purples are superb! There are beautiful roses and all sorts of flowers, and owls, and birds, and intricate artifacts which are beautifully drawn. The scenes are magnificent. When you move your mouse across your screen the scene will sway ever so slightly, too. These devs have thought of everything. A sheer delight! The game-play so far is outstanding. A well-organized, well-crafted, and so far no typos or improper grammar. LOL! The actors are wonderful. Although, as great as they are, I would prefer that they speak a tad quicker. Others can inform you of the great storyline, right now I'm mesmerized by the graphics and the flow of this game. And, again, I prefer giving my reviews after a completed game, but I couldn't wait to tell you about it, that is, what little bit I have told you about it. I bought this game at a great Big Fish discount as usual! Now I must go back to this gorgeous game!